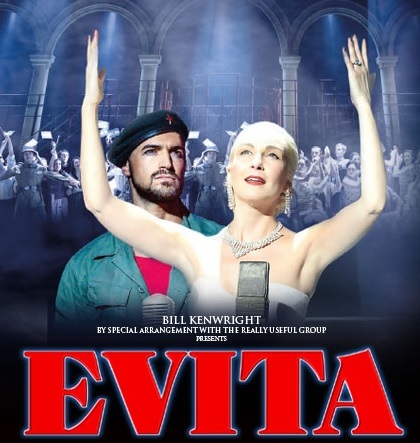 After 10 years in the UK and two West End seasons, Evita is captivating audiences across the world as it continues on an International and UK tour in 2018. Having already visited Luxembourg and the United Arab Emirates, the story of an ordinary woman’s meteoric rise to power at a time of extraordinary political unrest will run at the King’s Theatre, Glasgow from Tuesday 15 May - Saturday 19 May 2018. Fresh from the recent West End production in July 2017, leading Italian performer Gian Marco Schiaretti will continue in the role of Che, a character who reflects the voice of the Argentine people. Linked to Eva by destiny; he brings balance to the story of Eva’s rise to fame. Gian most recently played the title role of Tarzan in Disney’s Musical Tarzan, in Stuttgart. Prior to this he played Mercutio in Romeo and Juliet across Italy.